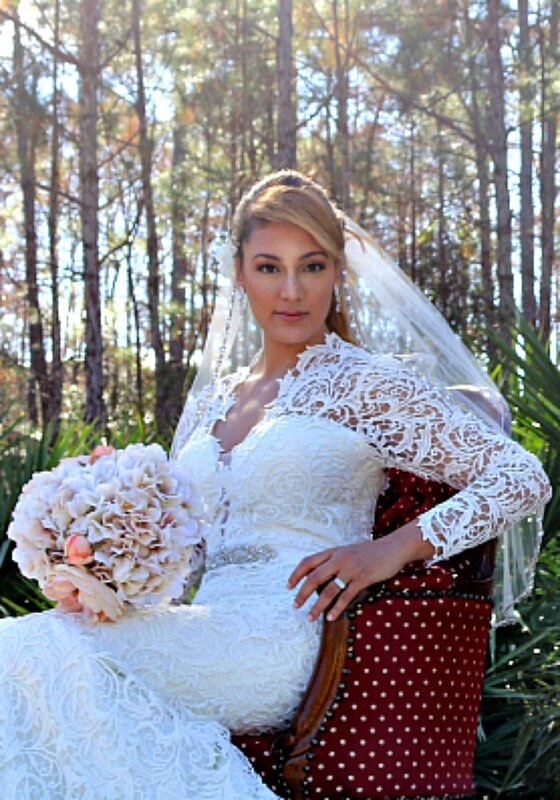 Our beautiful veil collection is available in many colors and sizes. 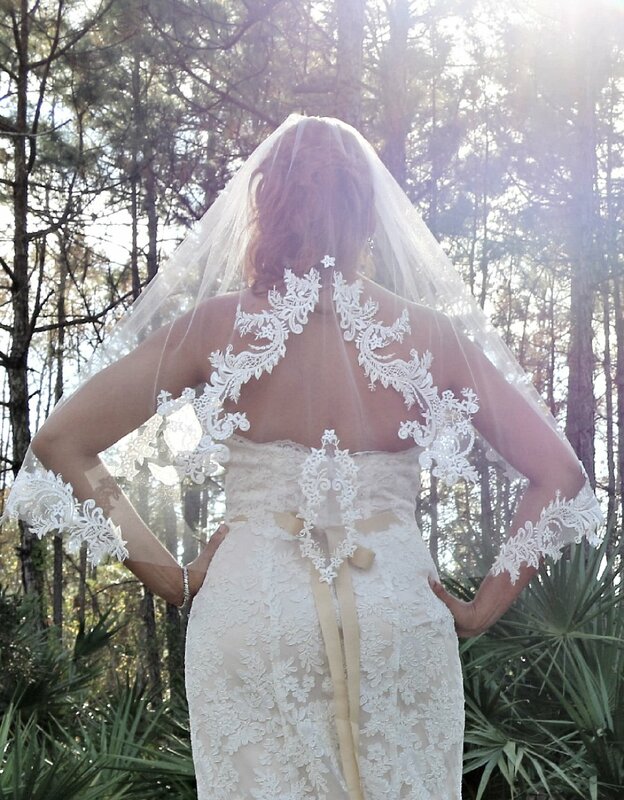 Our unique laces and material allow you to create your own matching veil. Very soft Illusion tulle netting or a silk tulle option in a large variety of colors. 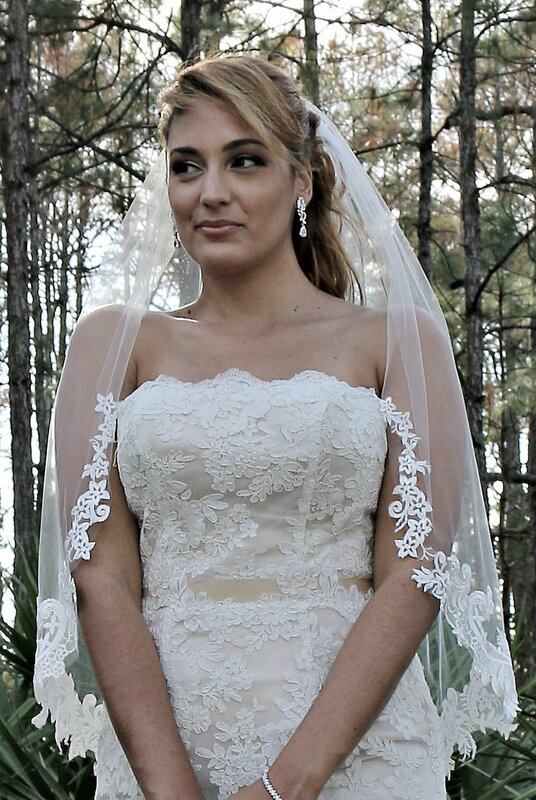 Our expert team will assure you a perfect matching veil. High quality materials from all around the world. Choose from one of our unique collection or have our to team to make the perfect matching veil to complete your stunning bridal look. All veils are made in the State of Florida. Contact us to order or a quote.